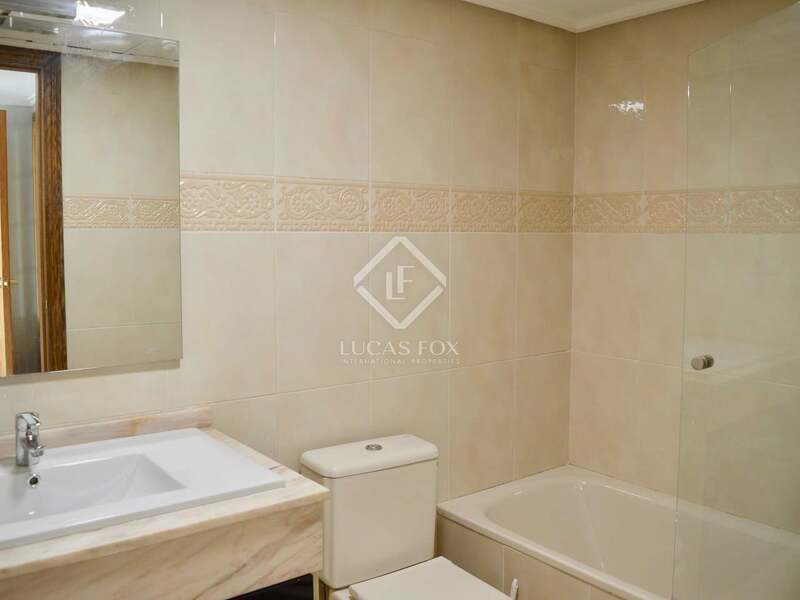 €1,800 pcm. 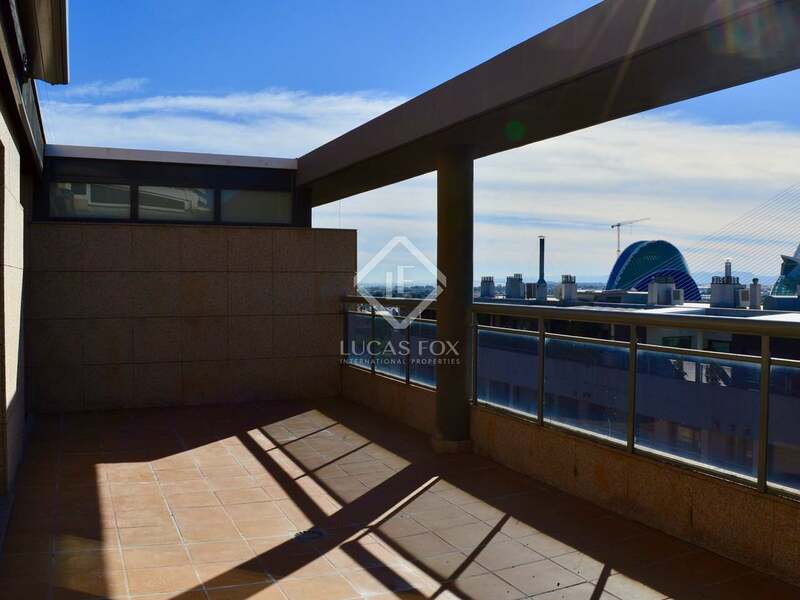 Penthouse Rented Minimum Rental Period: 36 Months. 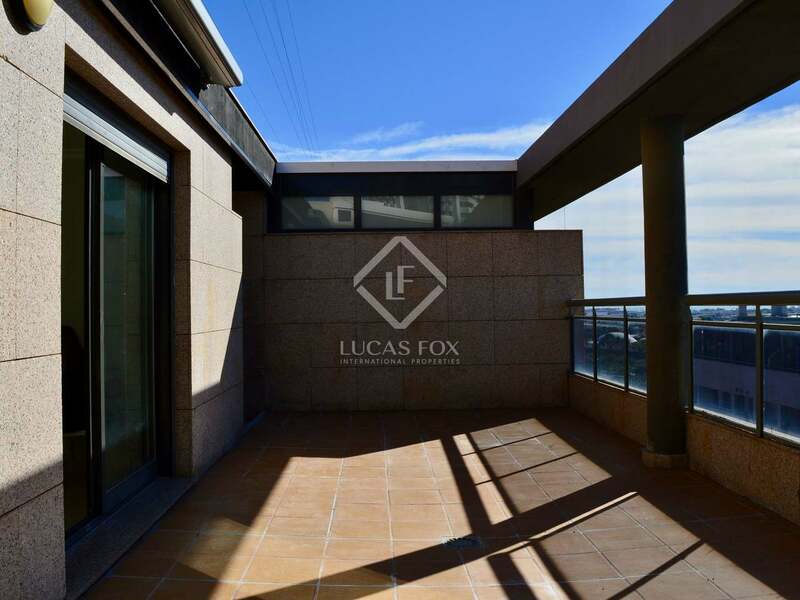 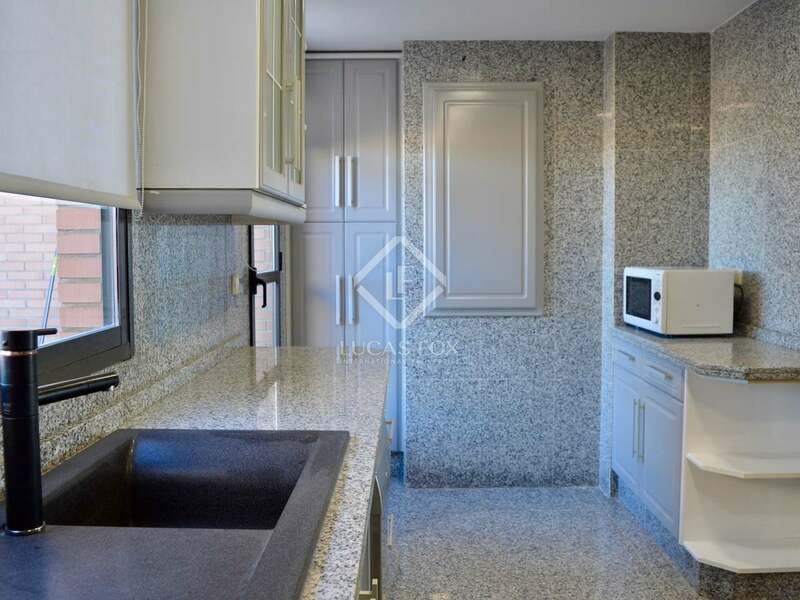 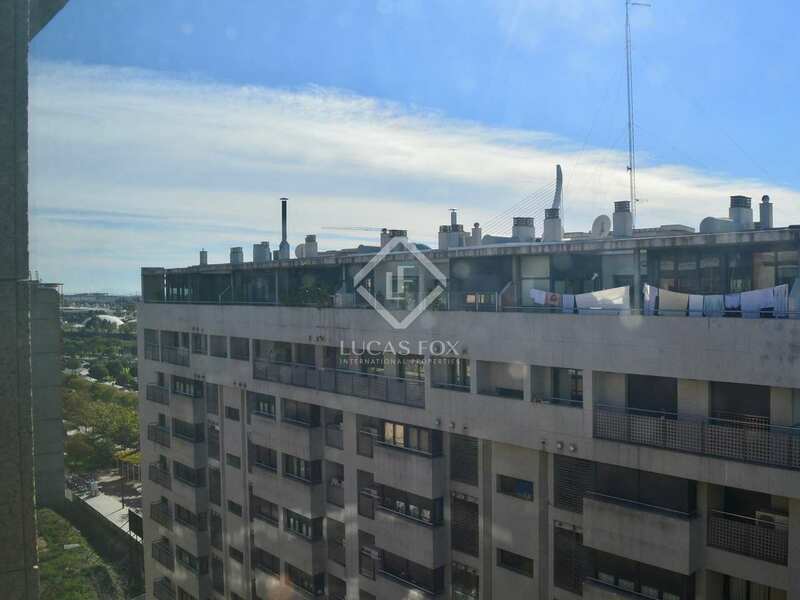 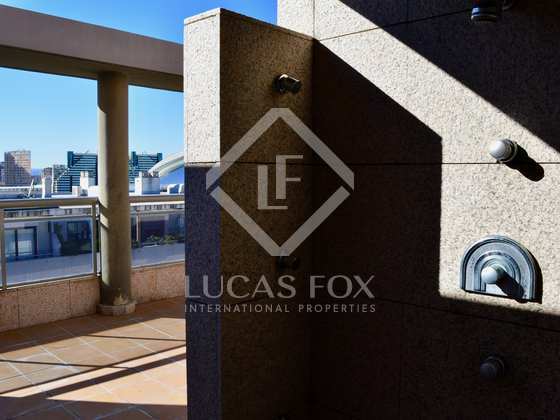 Brand new duplex penthouse for rent with several terraces and views of the city and the Turia Gardens. 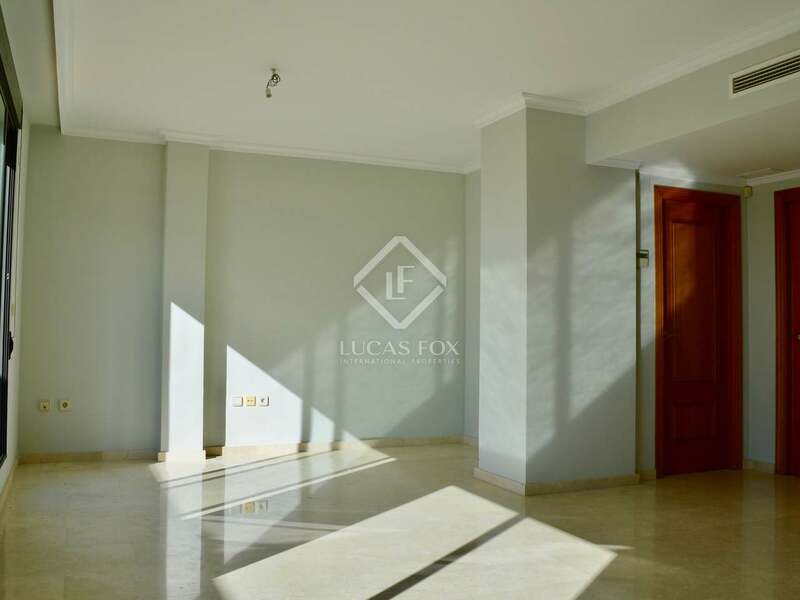 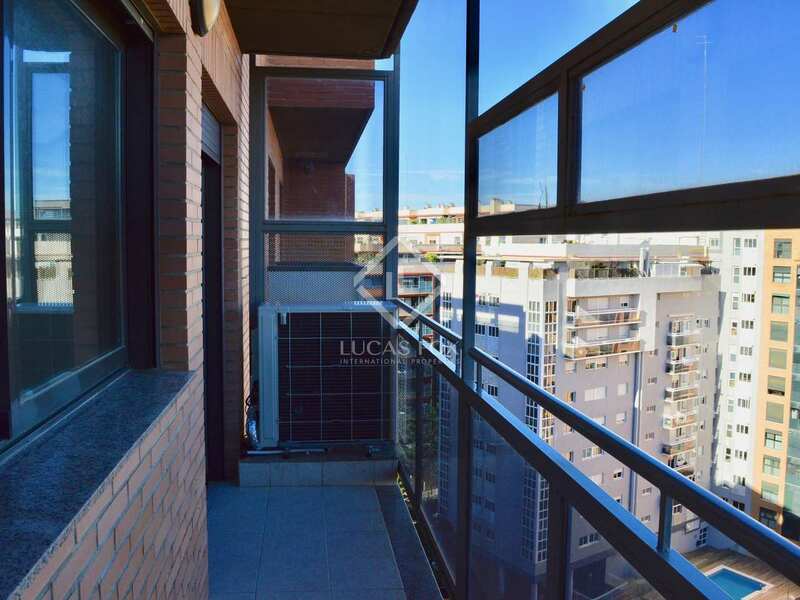 This spacious duplex penthouse is in a building constructed 12 years ago, presented in brand new condition. 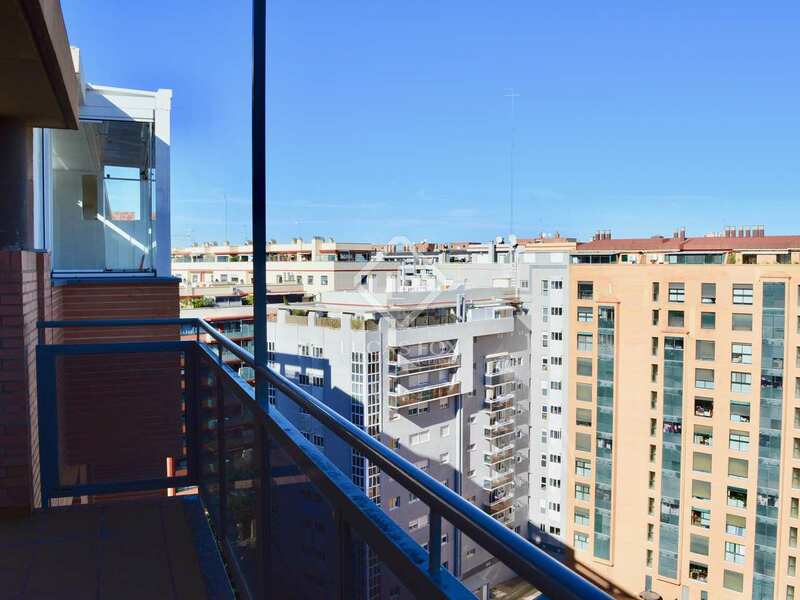 The building has a lift, parking and a community gym. 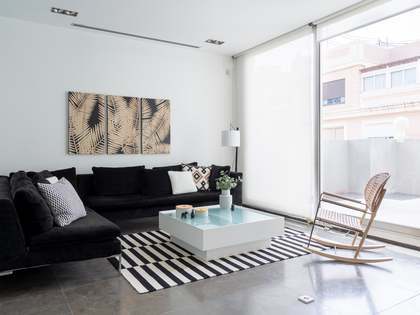 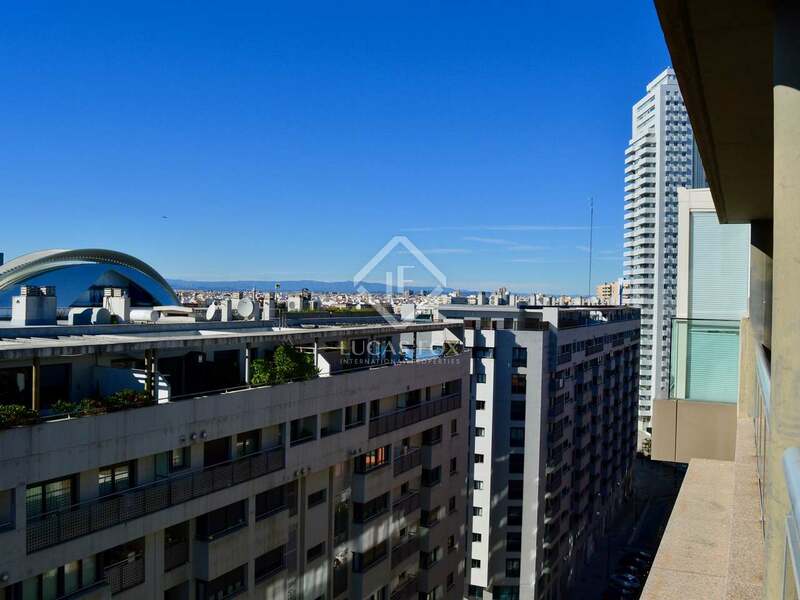 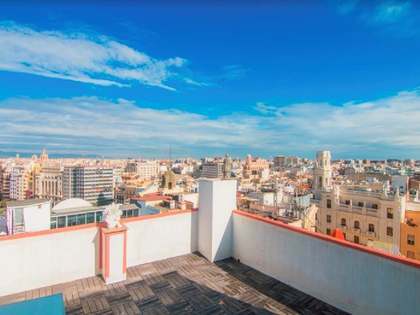 The property stands out for its excellent location right by the Turia gardens and enjoys spectacular views of both the gardens and across the city: a luxury in the centre of Valencia. 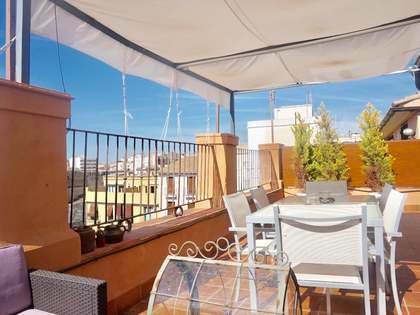 We access the property onto the upper floor where we find a room flooded with light that has two exits onto the terrace. 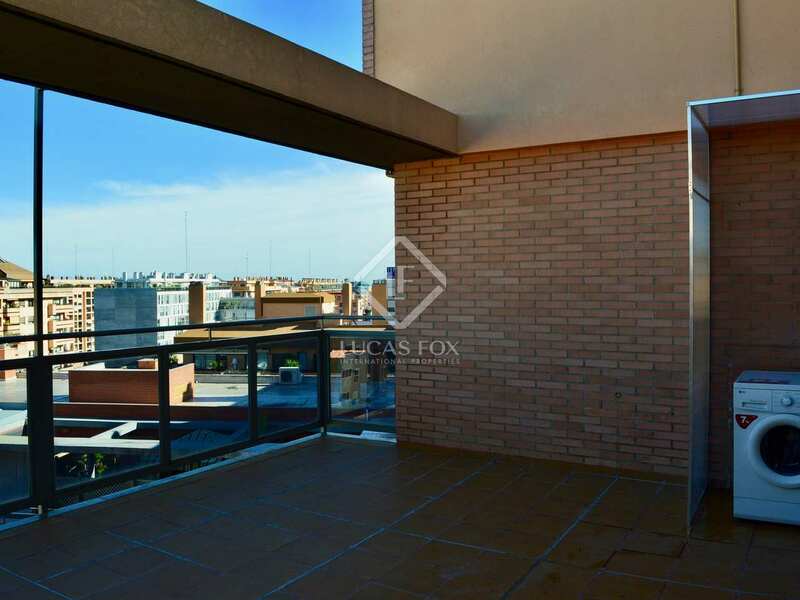 From the large terrace you can enjoy views of the river and there is also an elegant exterior shower, very practical during the summer months. 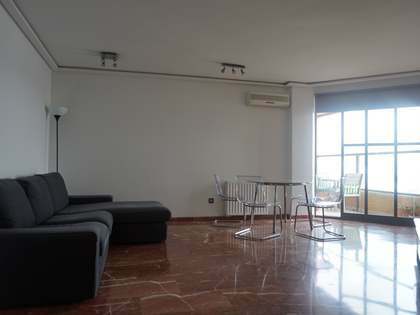 From the living room, we access a toilet and the spacious kitchen, which is brand new and includes 2 marble countertops. 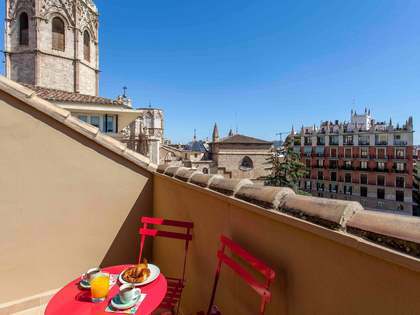 This room has access to the rear terrace, with shaded areas it is a pleasant space for breakfast or lunch throughout the year. 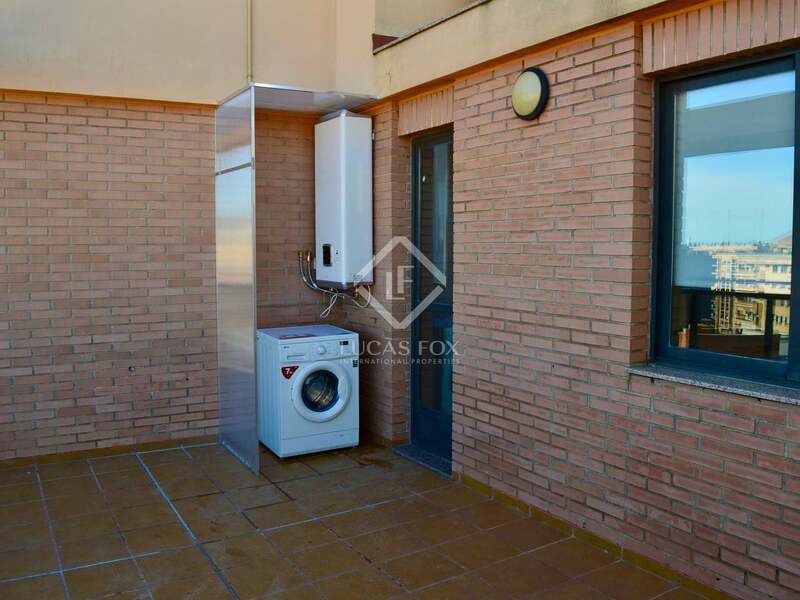 It also has a small utility area and boilers. 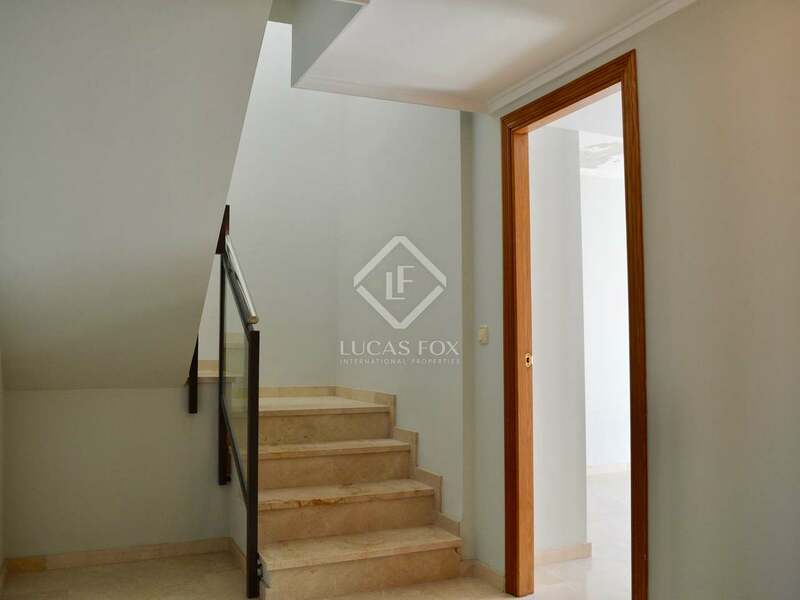 Stairs lead down to a hallway on the ground floor. 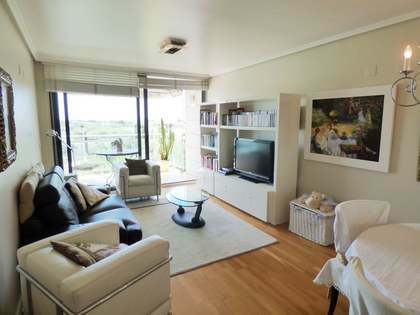 On the left, there are 3 double bedrooms with fitted wardrobes and a complete bathroom. 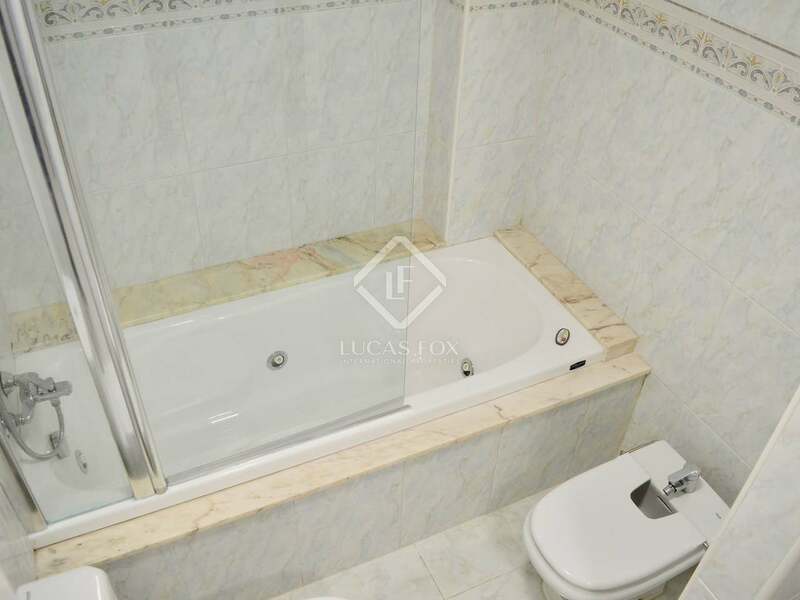 To the right of the hallway there is the 25 m² master bedroom with a private bathroom with a spa bath and access to a shaded balcony, where you can relax at the end of the day. 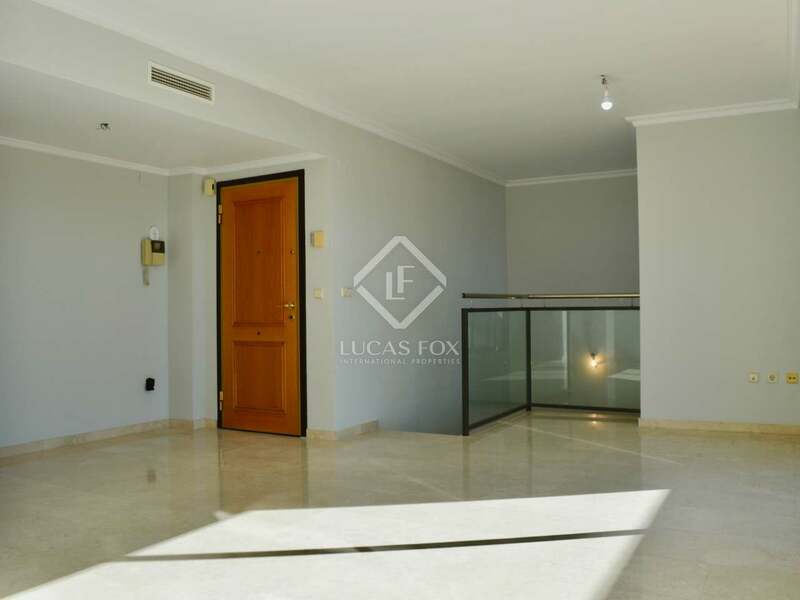 The property has air conditioning and heating to ensure comfort throughout the year and an alarm system for security and peace of mind. 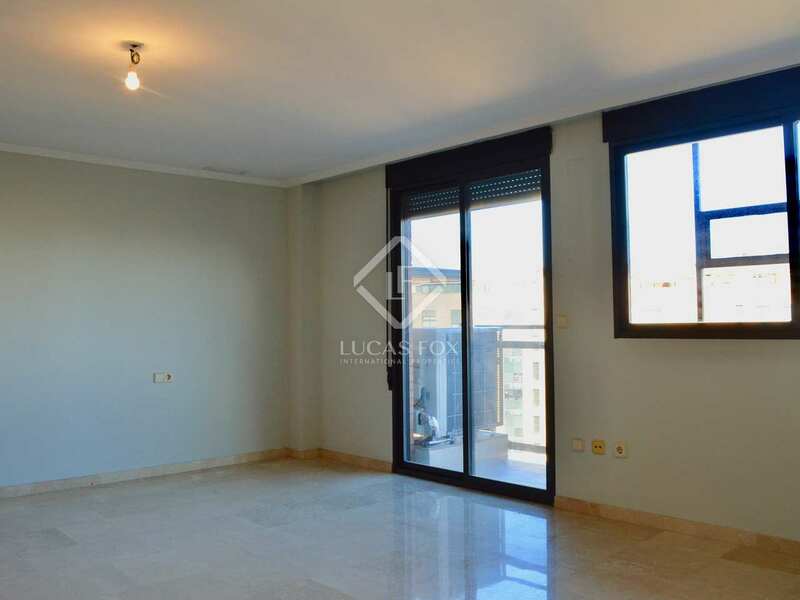 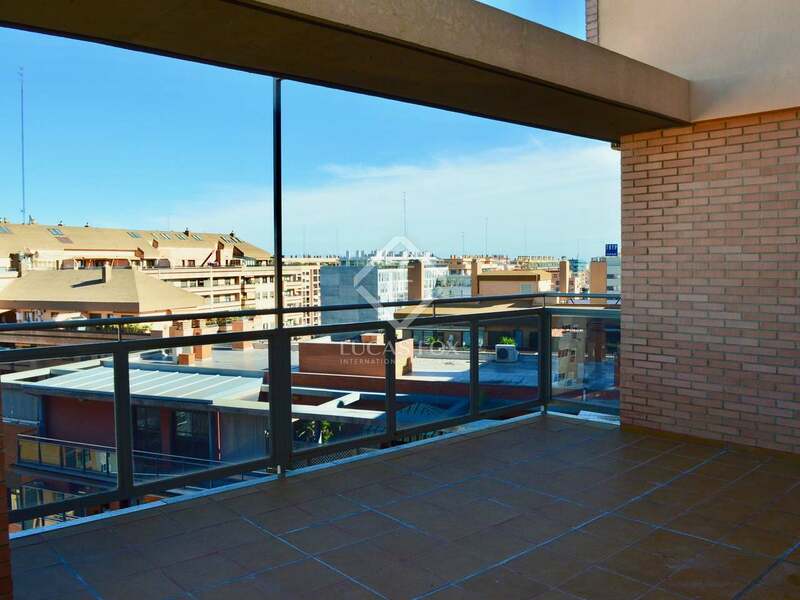 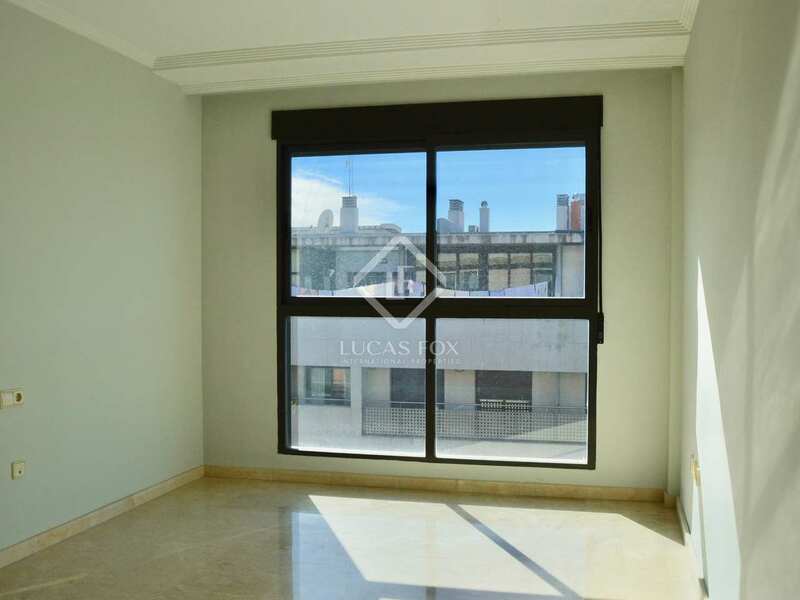 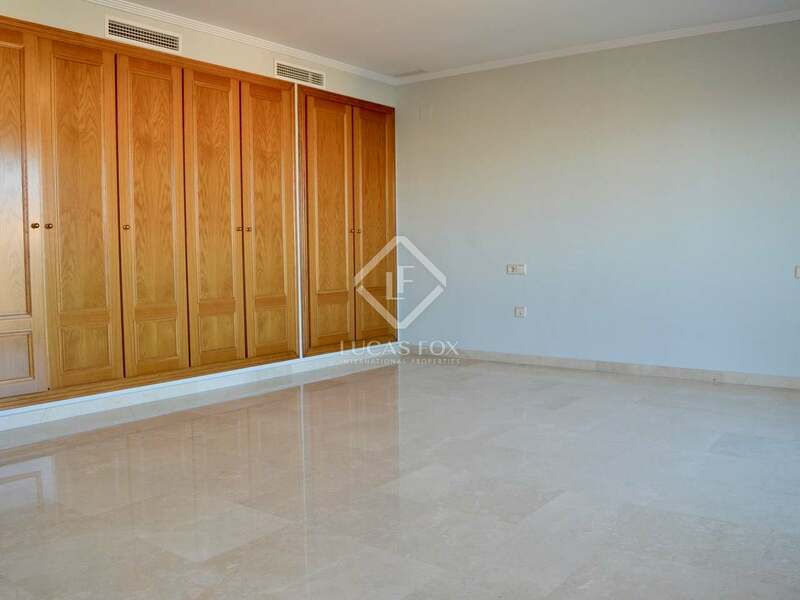 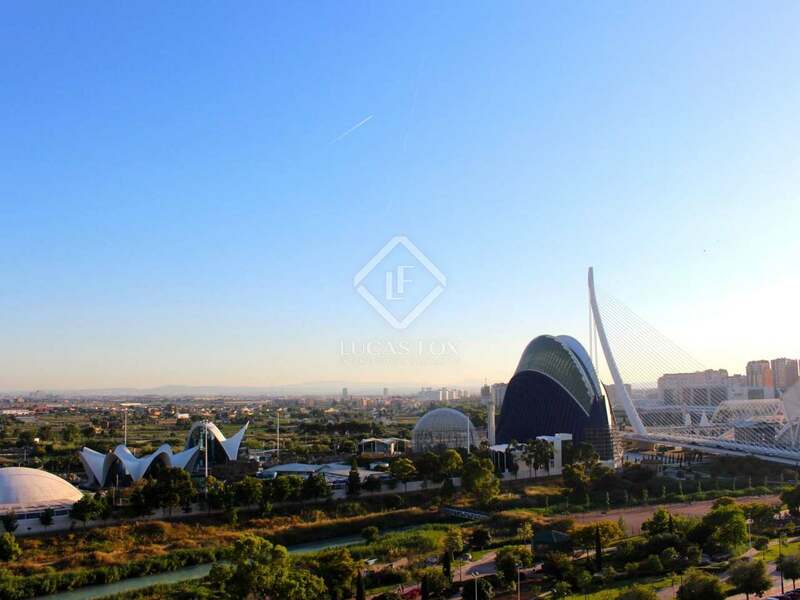 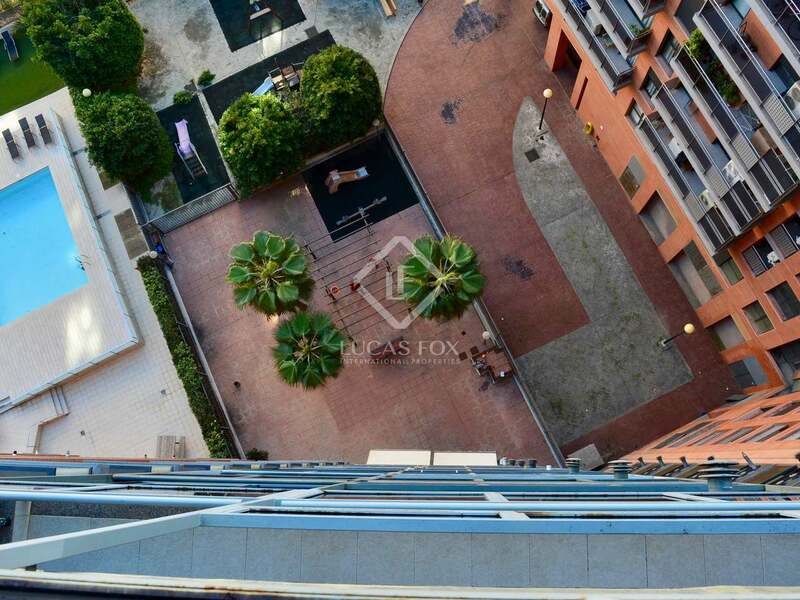 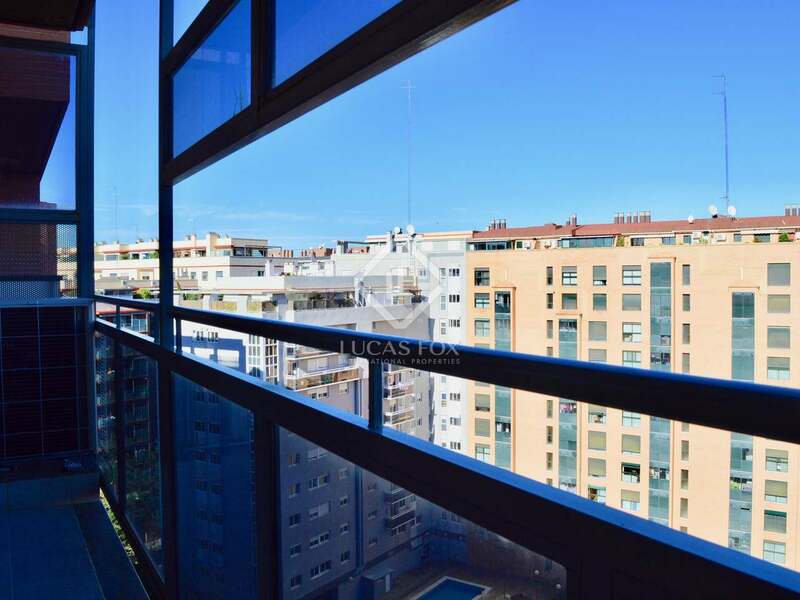 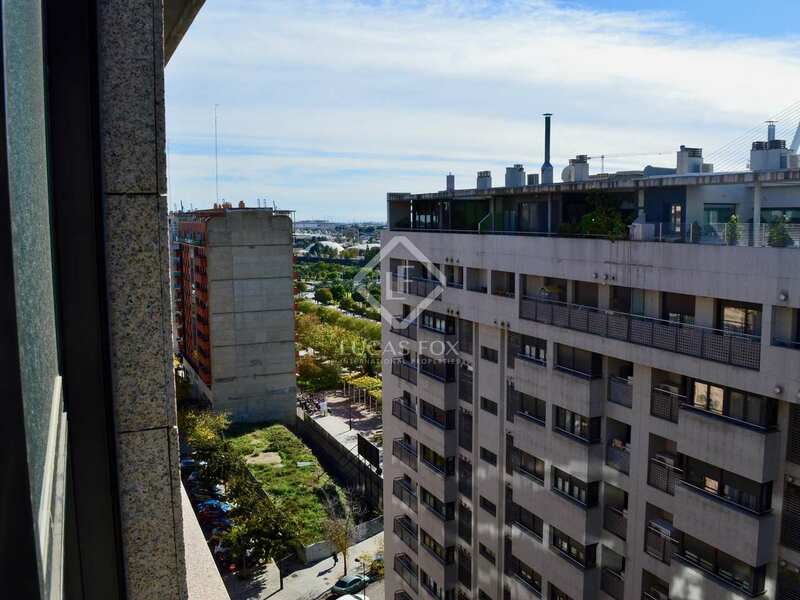 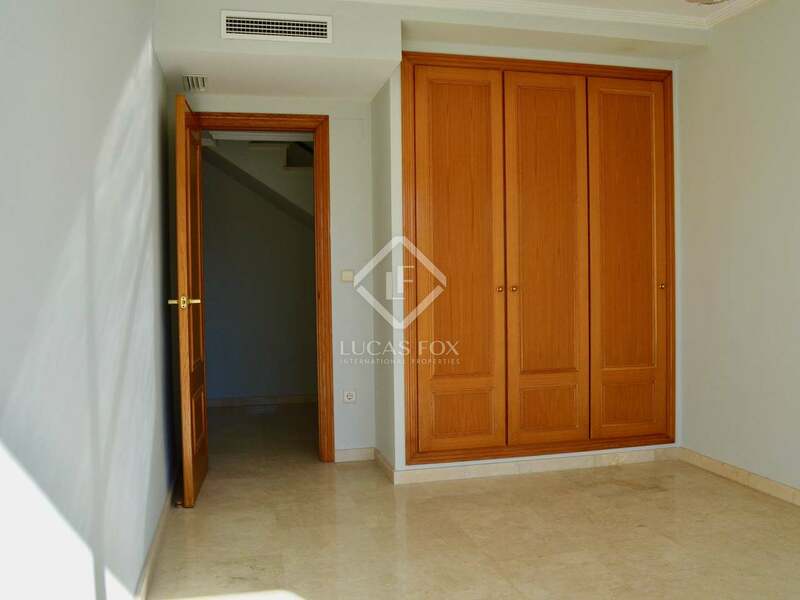 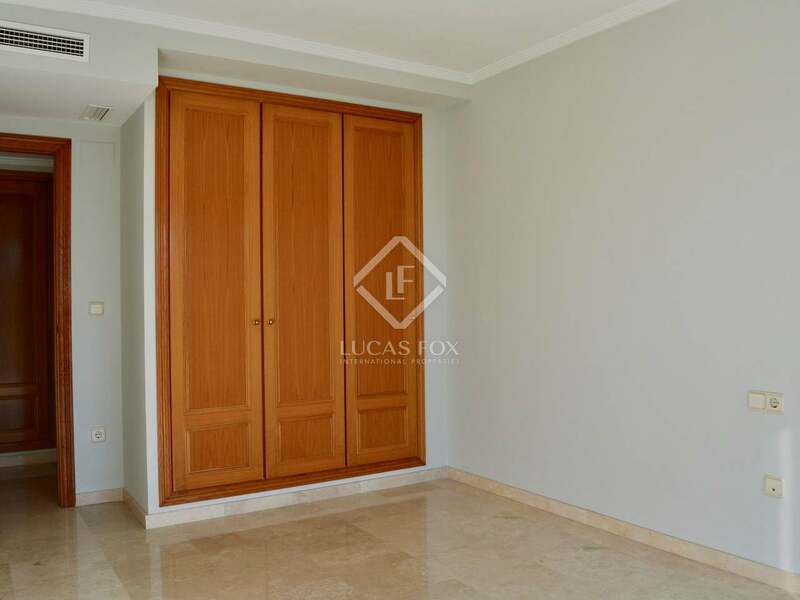 Contact us to visit this penthouse for rent next to the City of Arts and Sciences. 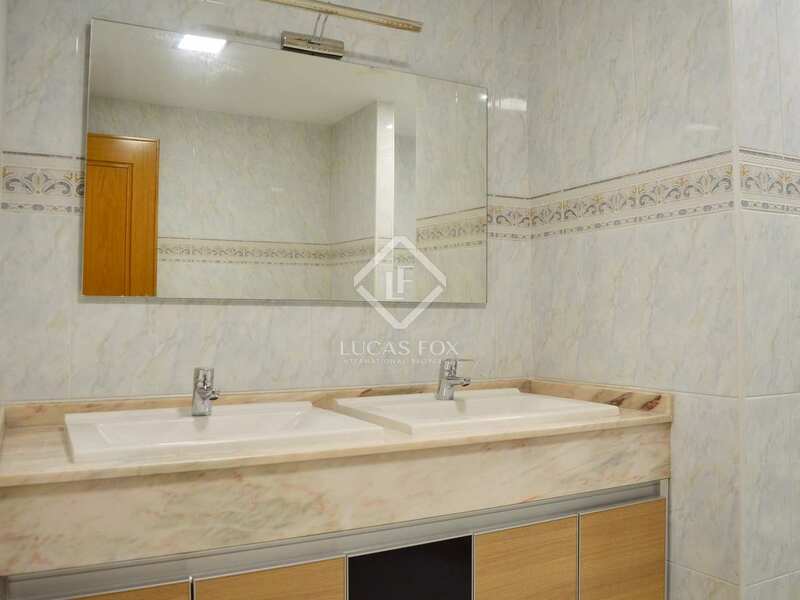 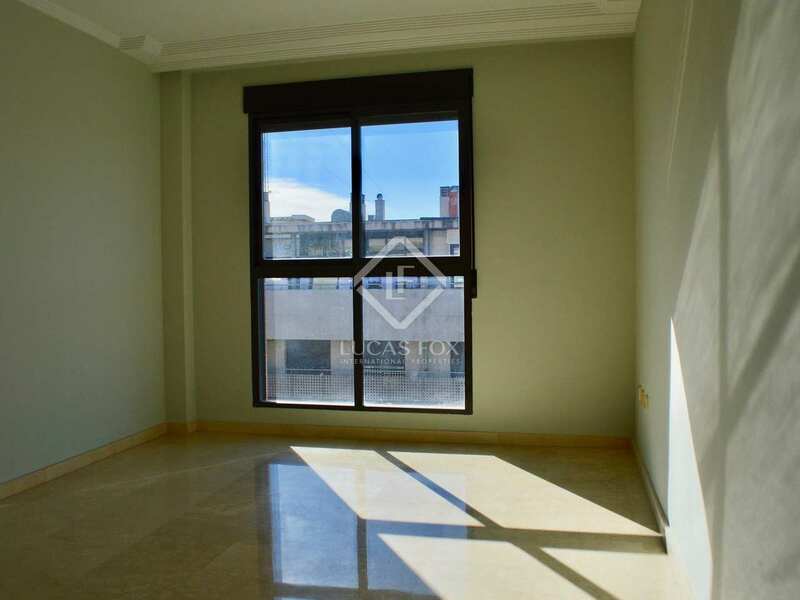 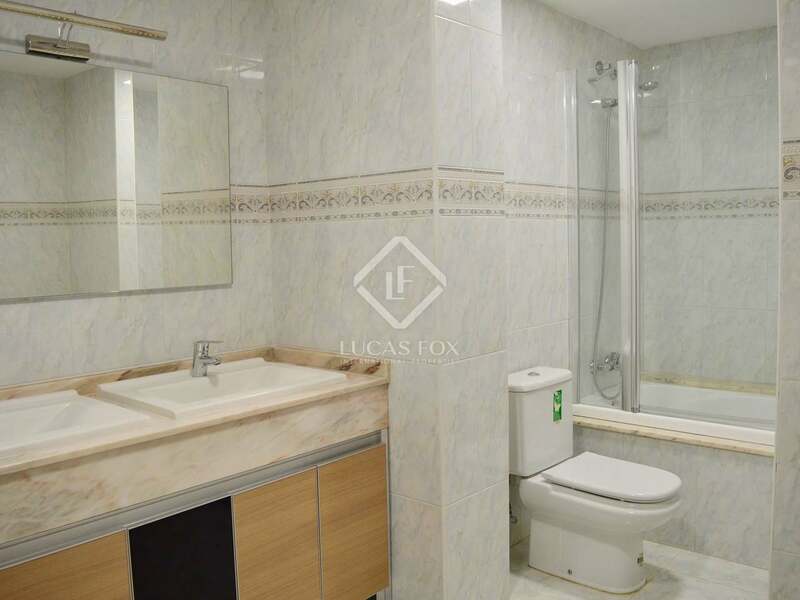 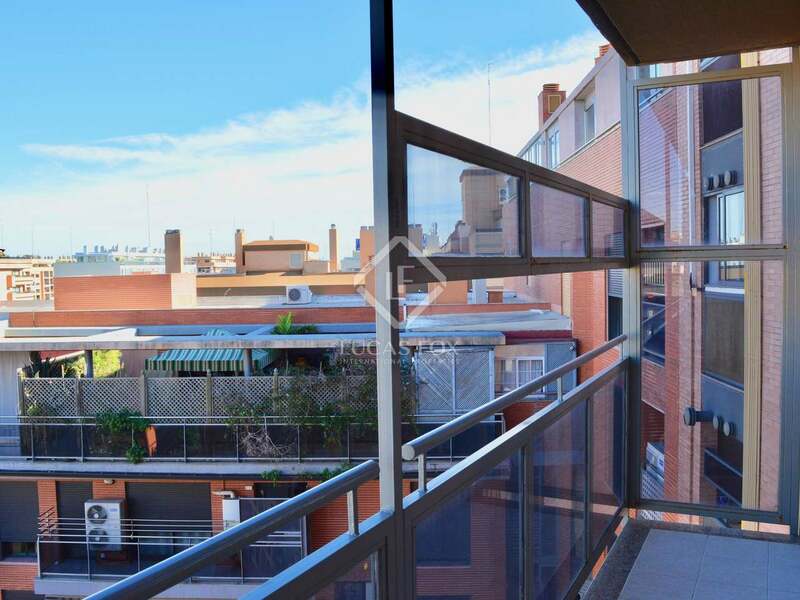 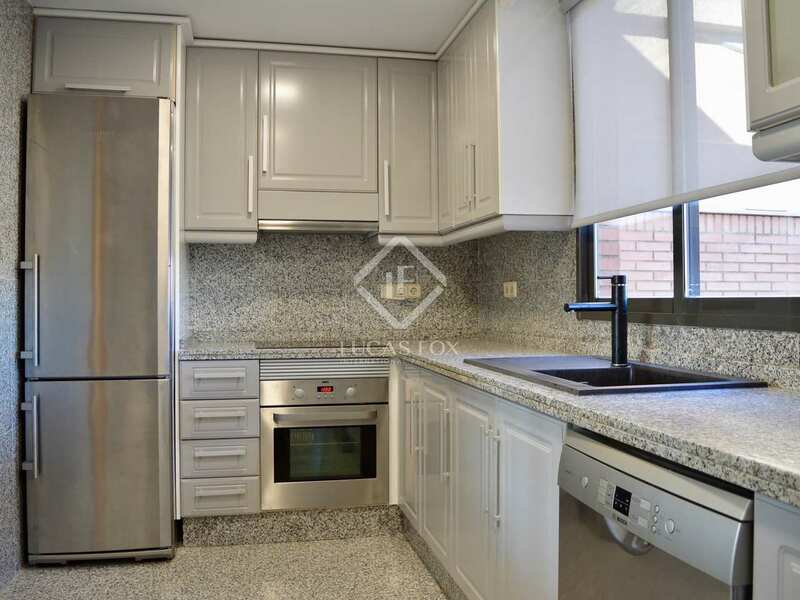 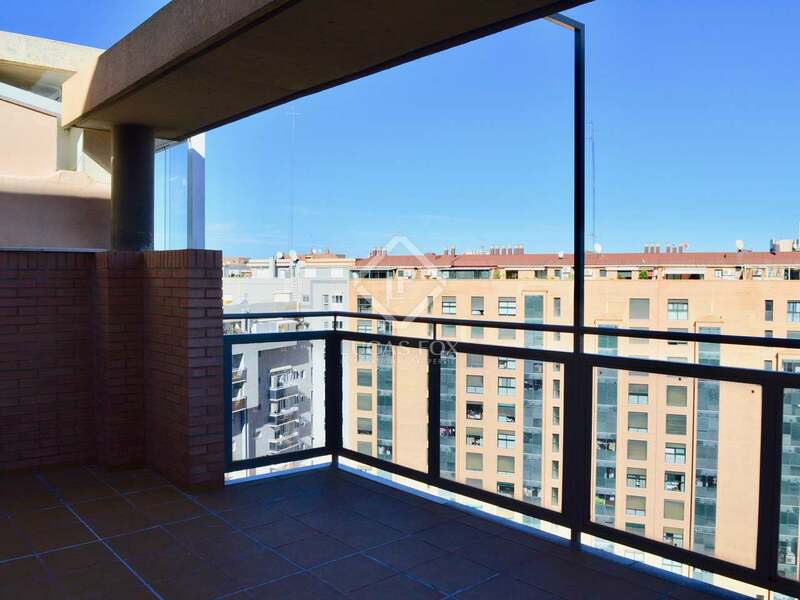 Property located in one of the most sought-after areas of Valencia, due to the modernity of its buildings and the tranquility of its streets. 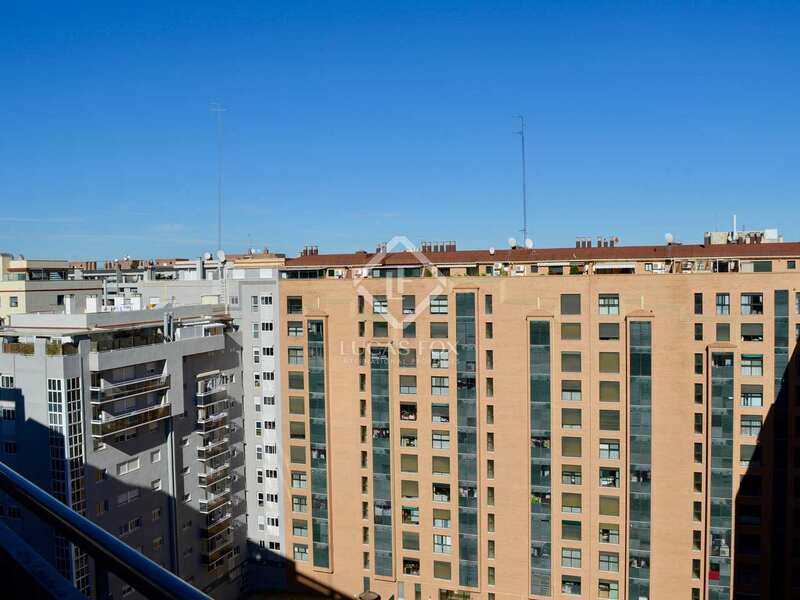 It is a perfect family neighborhood as it offers supermarkets, shops, pharmacies, health services, schools, etc. 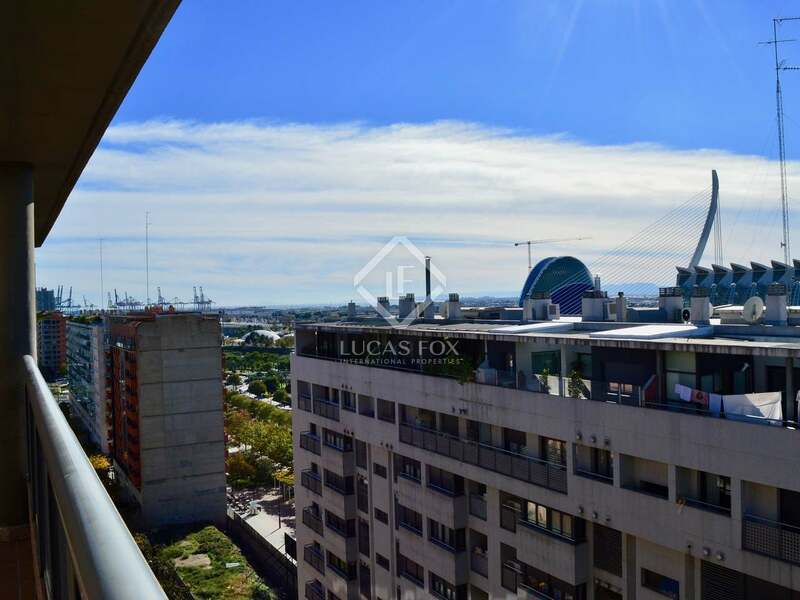 There are several shopping centers close by. 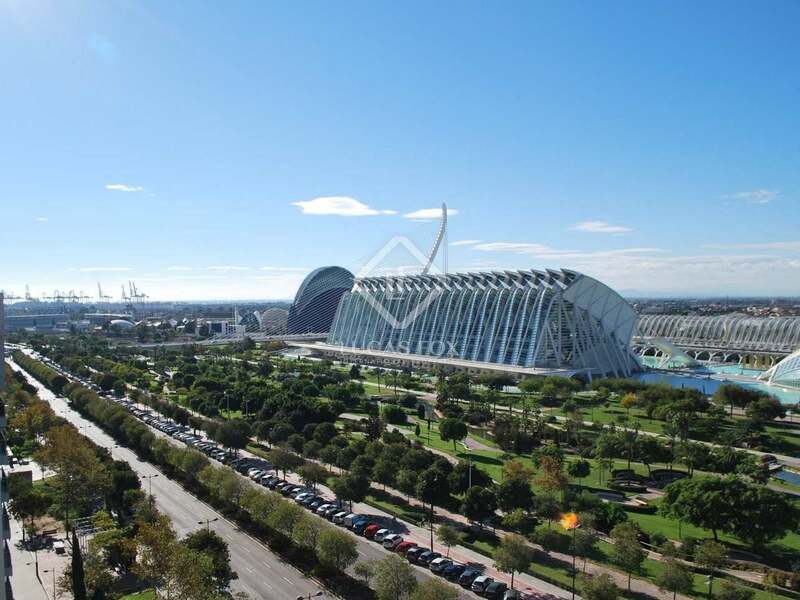 In addition, it is very well connected to the rest of the city by public transport. 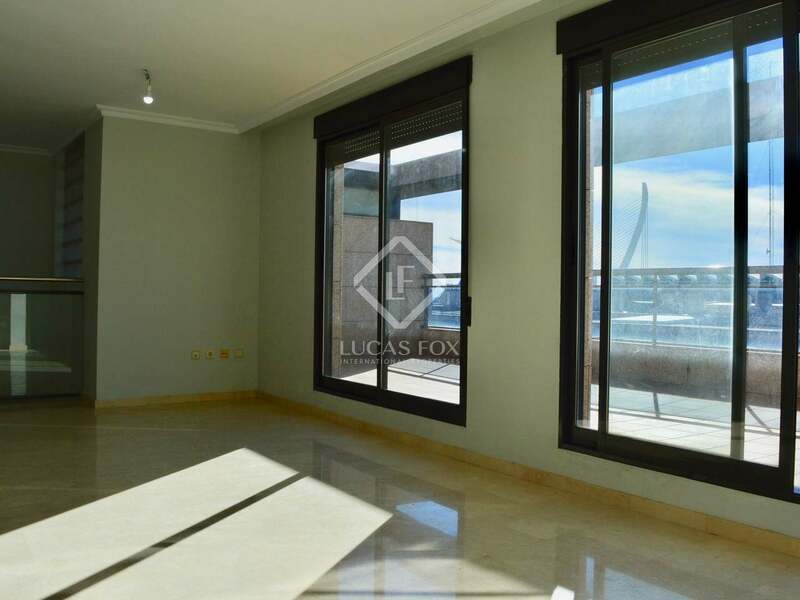 For rent, Penthouse €2,500 pcm. 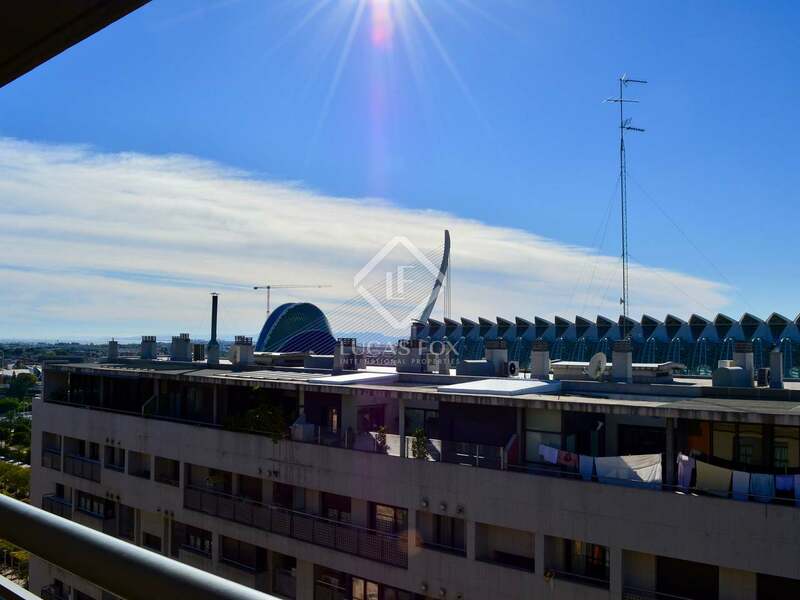 For rent, Penthouse €1,800 pcm. 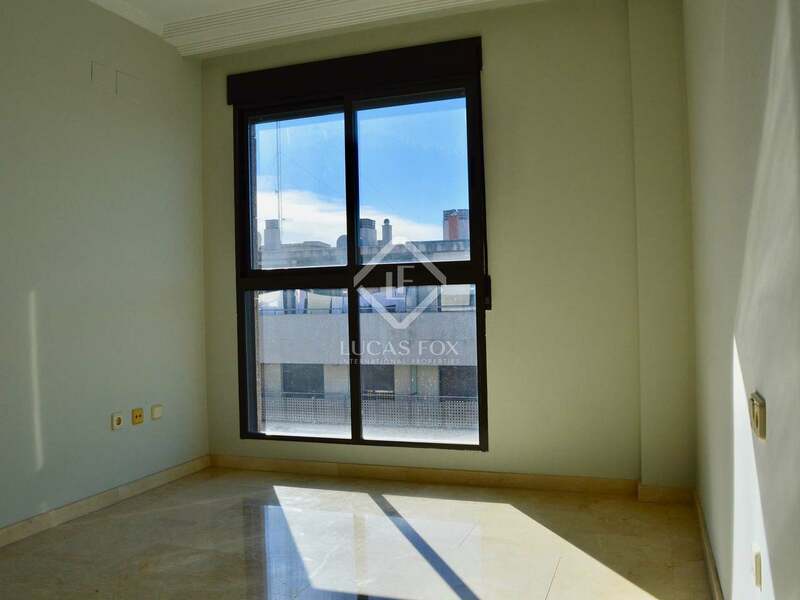 For rent, Penthouse €2,300 pcm.